Books are a very important part of everyone’s life. Can you imagine life without it? Before the introduction of electronics, people read and read when they got bored. Even now with the staggering amount of electronic gadgets, books are still extremely popular. Books are used for a range of uses. Work, fun, learning, are all purposes that books are used. But what if you want to be the one writing the book and selling it to the public? Well, then you have chosen the perfect book to guide you every step of the way. Let’s go back, back to the olden days when writing started out. It was a system of pictures which we would now think are bogus. But really, they made perfect sense to the people in that time. They used that type of writing to hold information and records or to tell someone a message. Novel writing wasn’t really popular back in that time, and you could imagine! Look at these pictures from Egyptian times! Can you imagine writing a story with this? When writing became a bit more advanced with symbols, not pictures people used it to create lasting records and to hold information. Stones would probably be the most ancient form of writing and wood would probably be the first material to take the guise of a book. Writing on bones, shells, wood and silk also existed in china in 2nd century BC. The first printing of books started in China, during the Tang Dynasty, but exactly when is unknown. Write the book. This may be obvious, but before you consult anybody professional to help you with book publishing you should first write the book. You might want to just have some friendly advice to know what you’re getting yourself into, but first you should definitely at least start writing the book! When you are sure that it’s very good, give it to someone else according to your genre. For example, if you are writing fiction fantasy for children, well… give it to a child! It’s not rocket science! Wait a while for the child, teenager or adult reading your book to finish and then soak up the praise or criticism. Edit it again according to what the reader said to you, then give it to another reader, and so one until your feedback is top notch. After your book is ready for publish, you can either contact a literary agent or do the -entire contacting publisher and paperwork- thing yourself. If you want to focus more of your passion which is writing, then you should contact a literary agent. And I personally recommend it. If you still doubt that a literary agent isn’t a good idea to get, well they do a lot of work for you. They know certain publishers and good editors for certain genres, and they have much more inside knowledge on book publishing than you do. And trying to learn all of it will take a long time. So leave the literary agents to shop around and get the best price. But first of all, let me explain what a literary agent is. A literary agent is someone who represents the writer and their written books to the publisher. The agent is closely associated with the publisher and the literary agent is very important if the author wants the book to pass through to the publisher. In your case you are the desperate author who will sacrifice nearly anything for your book to become popular. But how do you find one? If you search for literary agents on the web, you’ll eventually find a contact for a literary agent for your genre. Ring them up or send a mail to the agent or agency (There are also literary agencies). If they refuse then try another agent or agency, until one accepts. If many do not except you might have to edit your letter or proposal, so it is more convincing. Most literary agents are very busy and it is very wise to make it short and sharp. Make sure they get the full vibe of the book when they read it, and make it persuasive with strong headlines in thrilling paragraphs which are extremely persuasive. If you are writing a novel, you will most probably have to write a synopsis (quick overview) of your book, and make sure it is around only a page long. Don’t over explain it and don’t under explain it. Get it in the sweet spot, and then you’ll be successful. You can visit page (need to write a number) for how to write an excellent and extremely persuasive letter that will brainwash a literary agent to accept. Once you find one that accepts….CONGRATULATIONS! Be happy and laugh a lot, eat tuna and pizza. Jump out of a plane! Eat pizza in a plane! In one word CELEBRATE!!!!!!!! And boy do you deserve it! You can now finally officially start trying to sell your book out to the public! The literary agent will ask you some questions and then will write a pitch letter. This is a letter which gives a brief explanation of you and how much the agent loved the book. It will also include some special details about you that will help you stand out in the market. This letter will be sent to a publisher who will decide whether they want you or not. The aim for the literary agent is to make you seem enthusiastic and passionate with a great story. If you get in, the publisher will probably ask for a manuscript of your book. The length of it depends on the publisher. The average is usually 50 pages. The literary agent will still keep trying and forming bonds with the publishers, passionately advertising your book. You can choose to have an update every time you get rejected, or if you have more sensitive feelings, you can be kept in the dark. This might be a long process from 3 months to 18 months, so my advice would be to start your next book. The other possibility which is lucky for you is that you land a publisher! CELEBRATION TIME!!! This particular outcome will probably make you feel positive which is vital. An even luckier possibility is that you have an auction for your book! This is when desperate publishers will bid for your book. If this happens, you are one lucky person. Let’s just say that you just get one publisher to accept. This is finally when you earn your income! Cold. Hard. CASH. The offer in advance will probably be incredulously small to you. Usually $5,000 to $40,000. You probably won’t want to refuse since you are so desperate. But don’t worry; money will follow if you are popular. The second book will most likely be more successful and more money to earn. Fingers crossed you become a millionaire! Title page: Title, authors’ names, phone numbers and email addresses should be found on this page. This book offers encouragement and empowers readers to re-embrace the Christian faith after drifting away from the Lord and from the church. Brief overview: This should read similar to the back-cover blurb (short description of your book that is supposed to attract the reader to the book). It should be exciting, informative, and make someone want to read your book. It tells the publisher in a short and sharp form what the book is about and who the market is. Three to four paragraphs. Felt need: What needs will your book fulfil that your audience is already aware of? What questions are they asking that your book will answer? What do they want that you can give them? About the authors: Half page to a full page on you or other authors that also helped. Why are you qualified to write this book? List any previously published books or articles along with sales figures. Make a good case for YOU as the best possible author for a book on this topic. The market: Whom do you see as the audience for the book? Why would somebody buy this book? How is this audience reached? Do you have any special relationships to the market? What books and magazines does this audience already read? What radio and TV programs do they tune into? Demonstrate an understanding of exactly who will buy your book and why. Include lots of information on this. Even if you think there’s already enough, put the last thought onto the paper. This will make you seem passionate and organized, so the agent will think you know what to do. Author marketing: This is where you’ll talk about your platform. How are YOU able to reach your target audience to market your book? This is NOT the place for expressing your willingness to participate in marketing, or your great ideas for marketing. This is the place to tell what you’ve already done, what contacts you already have, and what plans you’ve already made to help market your book. A list of speaking engagements already booked is great; radio or television programs you’re scheduled to appear on or have in the past; a newsletter you’re already sending out regularly; a blog that gets an impressive number of daily hits. This is only something that you already have done. Nothing that you are thinking to do. If you don’t have anything planned yet, don’t worry too much. It’s just a little disadvantage. The competition: What other books are in print on the same subject? How is your book different and better? (There is always competition.) First provide a state of the market for your book. Then do a list of 4 to 8 books that could be considered most comparable to yours. List the title, author and year of publication. (Only books in the last five years are relevant, unless they’re still bestsellers.) Then write a couple of sentences explaining what that book is about, and how yours is different, better, and/or a good match to it. If there is only a tiny amount of books on your subject, then so much the better! 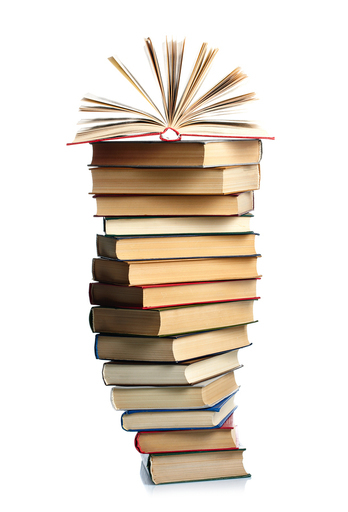 You can emphasise the point that your subject is needed and not much books are published on it. Chapter outline: This is where it becomes vital that your book is well organized and completely thought-through. You will need chapter titles from your book and a couple of sentences capturing each chapter’s theme. You do this only with non-fiction books since it would nearly be impossible to write about each chapter, when you have 50! Sample chapters: This is usually the introduction of your book plus one or two chapters. Make sure they’re polished and perfect! One sentence hook:One sentence that creates interest in the book. Brief overview:This should be exciting and make someone want to read your book. It has to be short and sharp since if it’s long and tedious, will a very busy literary agent read all of it? I doubt it. This overview should only be 2 to 4 paragraphs long. The market:Whom do you see as the audience for the book? Why would somebody buy this book? How is this audience reached? Do you have any special relationships to the market? What books and magazines does this audience already read? What radio and TV programs do they tune into? Demonstrate an understanding of exactly who will buy your book and why. This needs to be clear and make you seem like a pro. About the authors:Half page to a full page on special you. Oh, don’t be flattered! Why are you qualified to write this book? List any previously published books or articles along with sales figures. Any awards or special degrees or certificates in creative writing? Anything that helps establish you as a novelist goes in this section. And don’t be afraid to boast a little. But not too much. Example: I have one like, every award and am one of the top authors! I am a hidden talent that no one has ever witnessed before. I deserve to be recognised by you and get rich! You see what I mean? Don’t say you’re the best author ever in the whole world. You want to radiate a positive feeling in this section. Author marketing: This is where you’ll talk about yourplatform. How are YOU able to reach your target audience to market your book? This is NOT the place for expressing your “willingness” to participate in marketing, or your “great ideas” for marketing. This is the place to tell what you’ve already done, what contacts you already have, and what plans you’ve already made to help market your book. If you haven’t done anything big, don’t worry too much, but it’s a disadvantage. You should probably establish contacts in the social media before you contact the literary agent. Just a head start that will help you. Comparable books:Instead of a “competition” section, you’ll want to include four to five novels that you see as similar to yours in some way. It helps the editor develop a big-picture understanding of your book. It’s bestnotto include blockbuster bestsellers (like Harry Potter) but doinclude well-known books with solid sales. Include title, author, release year, and a couple of sentences about the book and how yours is similar and would appeal to the same audience. Longer synopsis:In several pages (2 to 6 is a good guideline) describe the story. In this part, don’t worry about preserving the “surprise” factor. This is where you have to explain the story, start to finish. Sample chapters:Include the first 40 to 50 pages of your manuscript (ending at a natural chapter break). Don’t include random chapters – you need the FIRST few chapters. Make sure they’re polished and perfect! THIS is what will determine whether you get a request for a full manuscript or not. Write the whole book and edit, edit and edit!! Find software to use for publishing your book. I suggest Amazon Kindle Direct Publishing. You just have to create an Amazon account and then this epic website will guide you every step of the way... and wait for it... for FREE!! There done! Finished! I don’t have to say anything more. Amazon Kindle Direct Publishing will guide you through the rest. I hope this book has helped you a lot. If it was useful, spread the word about it. If it wasn’t, well... still do it! Oh, and when you become a billionaire, give me half of the money! What, no? Fine a quarter. Done.